Ellen is available for both residential and commercial design projects and works well long distance. 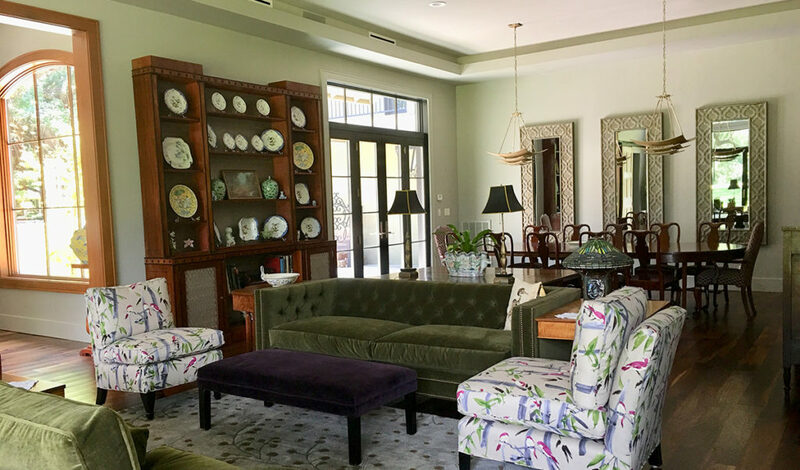 Design services include client consultations, site assessment and measure, space planning, design scheme, furniture design, shopping trips and online shopping, installation, styling and project management at the rate of $200 per hour, plus travel expenses outside of Louisiana. Once you have our paint samples, telephone us to set up a phone conference with Ellen. You may also send her photos, floor plans, finish samples and anything else you think she might need to help visualize your space. Ellen is very good at “intuiting” what colors are you. This service is included in the price of our paints. If you choose not to purchase our paints, consultation fees are $200 per hour. On site consultation fees are $200 per hour, plus travel expenses. To schedule a consultation, call us at 877-877-7628 or email me at ellen@ellenkennon.com. *Please note: Although we do not charge consultation fees for color consultations, we do take a credit card number and bill for Ellen’s time, if paint isn’t purchased.